Sometimes it’s good to try something new—to take a risk. That’s exactly what Canadian studio Hothead Games did back in 2011, sensing a swing in the market and pivoting from creating critically acclaimed PC and console games such as Penny Arcade Adventures and DeathSpank to tackling the relatively young and unknown world of mobile gaming. That risk has paid off handsomely. 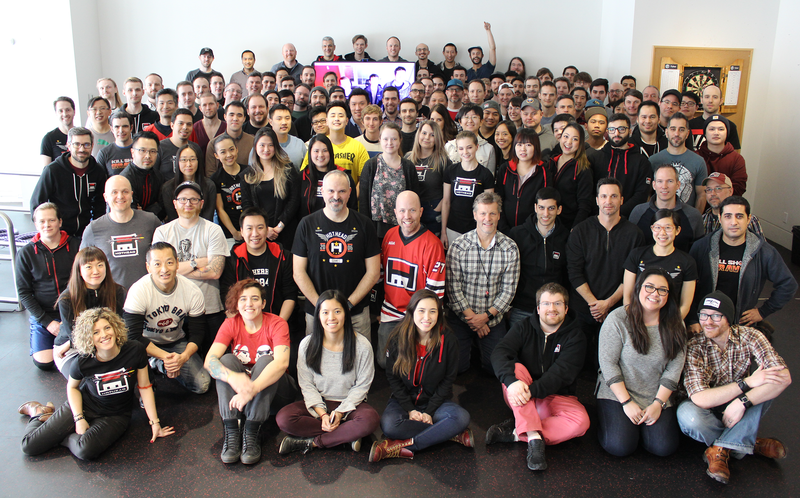 Hothead Games now employs over 130 staff in its Vancouver studio—up from just 30 back in 2011—and is considered among the top mobile developers in the world. With established mobile brands such as Kill Shot, Big Win Sports, and Hero Hunters (winner of Google Play’s Most Innovative Games of 2018 award), Hothead’s games have been downloaded over 300 million times. Hothead originally hired Wong as a business intelligence analyst. His corporate retail background working at Best Buy and other retailers turned out to be a great fit for Hothead. He helped them focus on utilizing data to gain insights from the emerging app stores. Retail is about creating a need and a want for the consumers, demonstrating a clear value proposition and differentiating the product from its competitors. These lessons, learned in retail, apply directly to mobile gaming. Hothead created many fan-favorite titles during its period as a traditional game studio. However, good reviews don’t always result in huge profits. Wong gives kudos to Hothead’s CEO Ian Wilkinson for making the bold decision to pivot the company and pursue the mobile games market. Back in 2010 in the early mobile days at Hothead, the studio felt like it was learning at lightning speed. Initially, the company created and published paid mobile games. Quickly, Hothead recognized the audience reach and uncapped earning potential of creating and publishing freemium games in the app stores. “Even though the games were free, the challenge remained the same—create a core loop where players play a game, understand it, enjoy it, and then actually want to spend,” Wong explains. Hothead’s first big breakthrough game was Kill Shot, which released back in 2014 and shot up the App Store charts straight away. 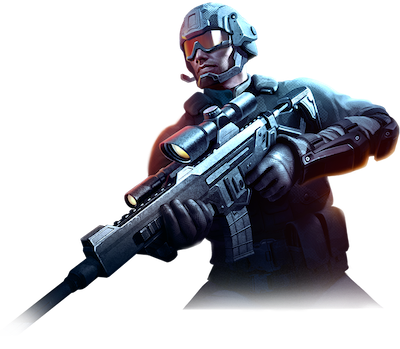 Almost immediately, Hothead began building the next Kill Shot game, Kill Shot Bravo. Between Kill Shot and Kill Shot Bravo, the franchise has reached 100 million downloads to date. Hothead soon realized that they didn’t need to keep churning out new games if they kept their existing games fresh and healthy. Bravo also taught the studio that, with mobile, sometimes less is more. “When Bravo launched, we intentionally tried to shift all the Kill Shot users to play Bravo.” Wong says. “We believed Bravo was a bigger, better product than Kill Shot—it had more social features, better graphics, and more events. Ultimately, we learned that Bravo performed differently than Kill Shot.” It kept players engaged, and its performance improved month to month. Hothead soon realized that they didn’t need to keep churning out new games if they kept their existing games fresh and healthy. With the Big Win Sports series, Kill Shot series, and Hero Hunters, Hothead has tapped into a unique group of mobile gamers—mostly males aged 15 to 35. It’s a core demographic that also helps Hothead build relationships with advertisers. “We have a very unique proposition that we can sell to brands and advertisers,” Wong says, “basically saying if you advertise with Hothead, we can cross promote your brand in various games to the same kind of audience.” Wong is a serious fan of rewarded video advertising—in fact, it’s the one thing he says he wishes he’d introduced sooner. The casual feel of the Big Win Sports series is a great fit for rewarded video, resulting in a “strong rewarded advertising revenue stream coming in,” according to Wong. Although the Kill Shot series and Hero Hunters are midcore titles that rely heavily on in-app purchases, Wong says rewarded video is a “perfect complement” to their closely managed in-game economies. But rewarding players who watch video ads requires a careful economy balance. “At first, we didn’t know any better, so we just put a button in the store that says ‘Free Gold,'” Wong says. “But we learned it’s not about just giving currency. It’s more than that. If you just say, ‘Click here to get some free currency,’ it might help you on a small scale, but the engagement rate and frequency upside will be limited. We’ve done plenty of A/B testing with rewarded video advertising on Bravo and Hero Hunters. It all comes down to the reward value, the placement of the button, and the frequency we offer certain types of rewards. We use the A/B test result data to optimize our offers. Hothead tried something new in 2011 with the pivot into mobile game development, so why not try something new again? In January 2019, Hothead announced the launch of a new publishing division, a move geared toward helping smaller mobile game developers achieve success in the fiercely competitive app stores. Interested developers can learn more about the publishing arm and get in touch with Hothead here.